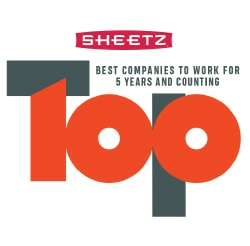 The Sheetz IT Applications and Development Department is seeking a Programmer to join our team. The successful candidate for this position will join a development team twith a focus on designing, developing, configuring, and maintaining an integration layer platform that connects both internally developed and purchased Enterprise Applications existing on premise or in the cloud. The Programmer provides technology solutions and supports major initiatives as assigned by Applications and Development management. Initial and escalation resource for application projects, whether in production or in the development / implementation process. Provide technical advice to less experienced discipline personnel. Possess in-depth knowledge of one or more application projects, whether in production or in the development / implementation process. Create and tune SQL queries as part of the application development process. Create technical documentation for application development projects as defined by the Sheetz Applications and Development Agile Methodology SOP. Stay up to date on the production technology solutions by attending related training and conferences as approved by management. Provide development solutions using Sheetz approved development tools. Provide evening and weekend “on call/issue” support as needed. Sheetz is open 24/7/365 and as such, our internal and external customers may require support at any time. Comply with the Sheetz adopted agile and secure coding development methodologies. Refer to the Sheetz Applications and Development Agile Methodology SOP. A four-year degree in Computer Science, Management Information Systems, Computer Engineering; or a four year degree in another field of study which includes courses in computer programming, systems analysis, system development, or systems engineering is preferred. 5 years of applicable experience in an application development environment.